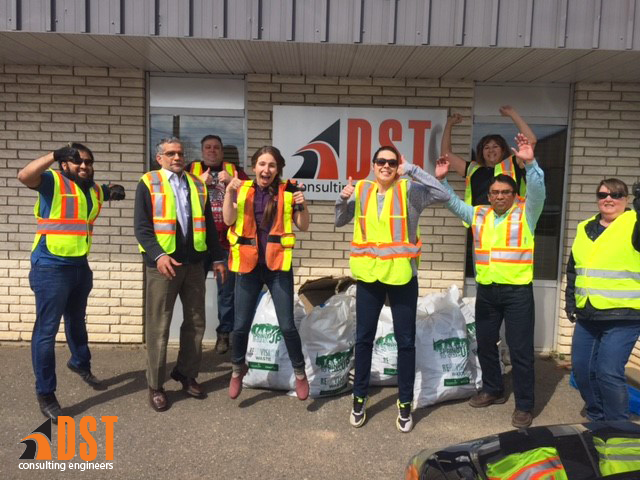 Every spring DST’s Thunder Bay office participates in the “Spring Up to Clean Up” event in the local community. This event is geared towards cleaning up the environment from the trash that was left throughout winter. DST takes pride in doing our part to ensure that our city is clean and safe. As per the usual, DST sprung up to the challenge and collected over 7 bags of trash from the neighbourhood.